Wow, so many greens to choose from. Now, Does anyone have a source for an example of the actual colors, like Shade of Green. Seems there are more Greens that any other color. Ford didn't have color chips for the T, so we are out of luck. 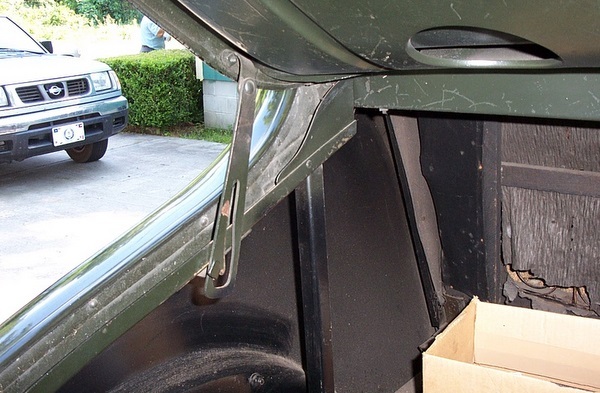 Unless you can confirm an original paint finish in good shape to have matched. 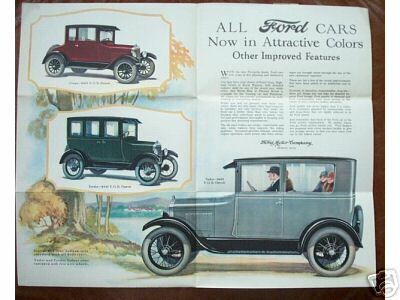 Scroll down link page to see Ford colors '26-'27. But these are computer poor looking colors. 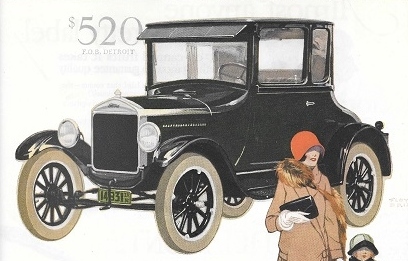 The '26 Channel Green is an enamel like paint, later in '26 and '27 the pyroxylin paints (lacquer) and Ford called that green Highland Green. Being lacquer, the finish wasn't highly polished as they can be rubbed, but Ford didn't spend the time to do that. Highland Green, but known repaint on the 15th millionth, still you can use this hue and nobody would comment as this is the museum '27! Print color from Ford literature, but can't really use print color and call it an exact match. 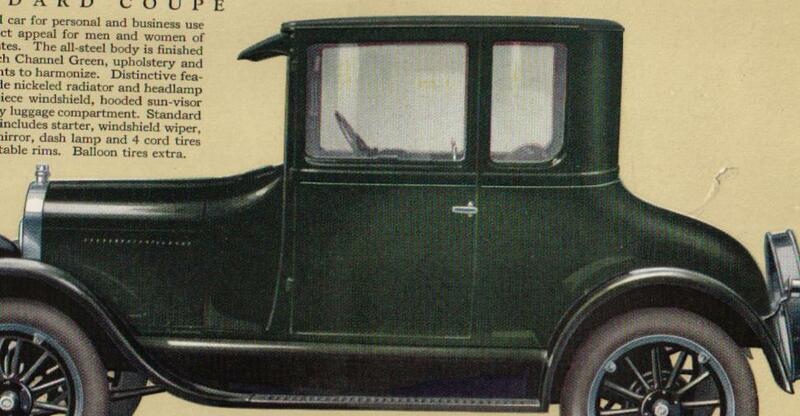 Channel Green dark, on this earlier '26, no tie bar..but again, these are just print colors, not actual. I suspect a lot depends on where in the model year your cars were built. The earlier production cars were close to the pic of the coupe in the advertisement above. I've seen a couple of survivors of early production cars. I crawled under the dash with my flashlight and checked around the firewall also. What I observed was a paint color that looked almost black until the light was shined directly up it. Then it looked dark green. 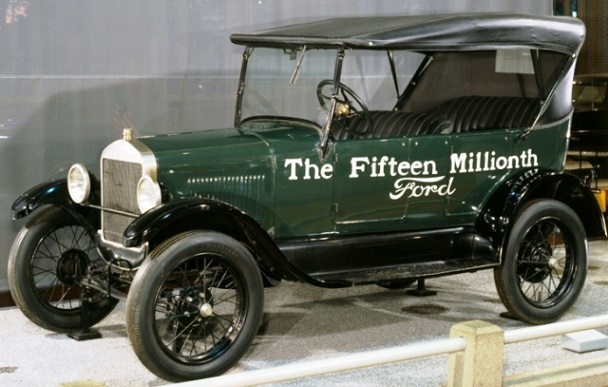 Seen some later production cars for 1926 as well and they have the same paint color Dan referred to as "Highland Green". If you want to see what I mean about changing shades in the light, take a look at the modern Ford Green Gem paint. Of course, its metallic and not correct for a Model T, but you get the black/dark green change effect depending on light angle. The other issue is the consistency of paint. I suspect it varied some from vendor to vendor with finished results.